For as long as I can remember, I've always suffered from terribly dry skin. It only gets worse during the winter time and I'm constantly forced to use product after product in order to make my skin look somewhat decent. 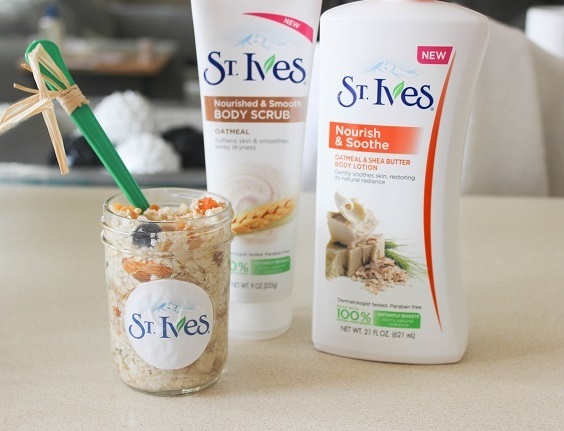 That's why I was excited when I got the chance to work with St. Ives and review their new Nourished & Smooth Oatmeal Body Scrub along with their Nourish & Soothe Oatmeal & Shea Butter Lotion. Finally some products that could cure my dry skin with an ingredient that I love, oatmeal! Not only do I eat oatmeal on a frequent basis because of it's health benefits (ex: giving me enough energy to head to an 8am class ugh!) but also because it has this way of cleaning and nourishing your system and helping you to look and feel radiant. I received the products a few days ago and just had to take a picture of the box and wrapping. Just look at those jars filled with oatmeal, so cute! 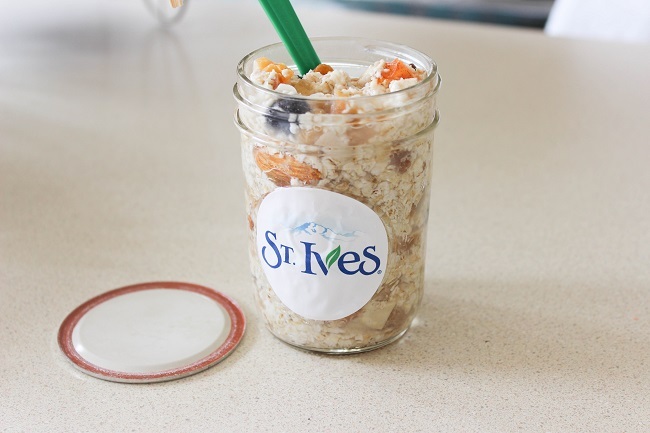 St. Ives has recently teamed up with OatMeals which is a popular NYC store and created the St. Ives Radiance Boost Bowl. It contains rolled oats, dried pears, almonds, and even cranberries! Not gonna lie, the first thing that I did was boil some hot water and added it into the jar and had some delicious oatmeal as an afternoon snack. No shame. I can confirm that it was ridiculously tasty! 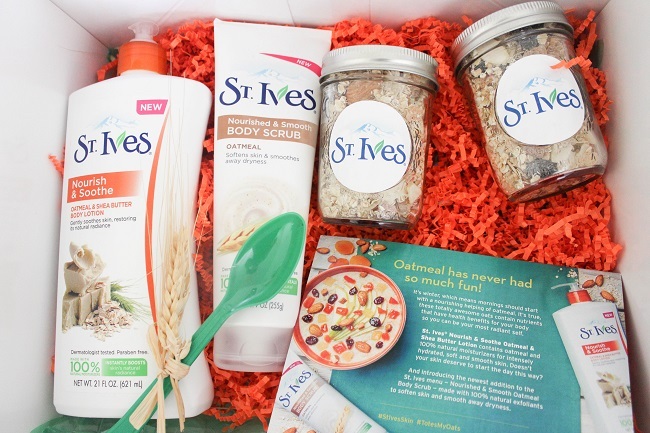 It's available at the OatMeals NY store location until April 8th so head over to get your oatmeal on and receive a St. Ives sample when you order the Radiance Boost Bowl! Now let's get on to the review, I first used the Nourished & Smooth Oatmeal Body Scrub in the shower in order to smooth away dry, rough skin. Despite being a scrub, it didn't feel harsh on my skin and didn't leave any redness behind either. It also doesn't have a strong, overpowering scent which is a big pet peeve of myn. I'm pretty sure this is because it's made with natural ingredients such as walnut shell, honey, and of course oatmeal. This is great for anyone who has sensitive skin that's allergic to heavy fragrances and chemical ingredients. I was left with soft and smooth skin without any trace of dryness, finally! Afterwards, I moisturized with the Nourish & Smooth Oatmeal & Shea Butter Body Lotion which didn't feel greasy and soaked into my skin right away. This is not only a great product to use during the wintertime but all year long since it doesn't feel heavy on the skin and dries quickly. Overall, these two products have become staples in my body care collection and I wish I discovered them sooner! 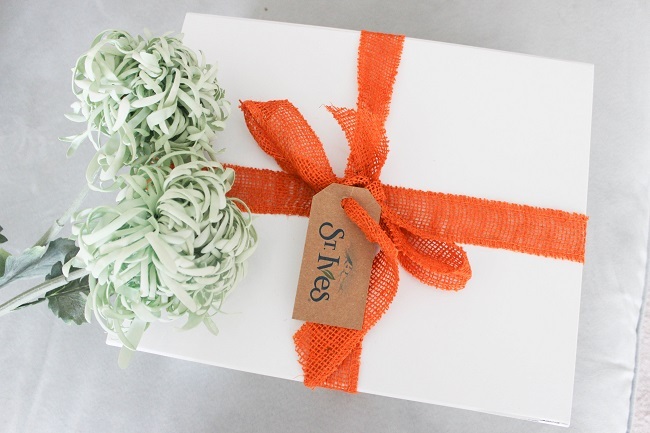 They're simple, no-fuss, and leaves your skin feel renewed and beautiful. Just what I needed in order to get through the rest of this winter! This post is sponsored by St. Ives and Her Campus Media. All opinions are my own. 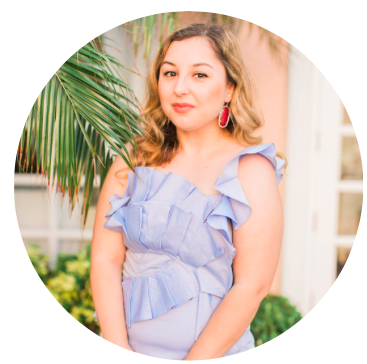 Thank you for supporting the brands that make Sweet, Short & Stylish possible!